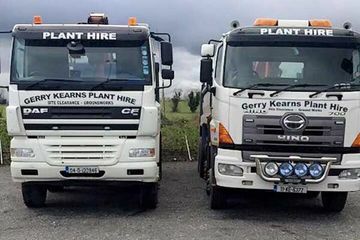 At Gerry Kearns Plant Hire all our trucks are fully insured and come with state-of-the-art GPS tracking systems. All our vehicles are subjected to stringent safety checks and regular tests to ensure their competency and safety. All our vehicle operates are fully trained and each and every one can boast an exemplary safety record. This commitment to safety and vehicle maintenance means that when you hire a vehicle from Gerry Kearns Plant Hire you’re getting some of the most efficient plant machinery available. Do you require reliable and efficient machinery for your next project? Then get in contact with Gerry Kearns Plant Hire today. Gerry Kearns Plant Hire’s trucks are built for the efficient removal of spoil and the proper transport of concrete. Our tippers are fully equipped to handle a load capacity of 9 cubic metres. Our loads are compliant with EPA guidelines and are fully traceable. Our properly maintained grab trucks are available in the DAF and the Hino range. The convenience of a grab truck means loads can be moved directly from tipper trucks; ensuring the efficiency of workflow on a clients’ site. Grab trucks can be utilised for a number of purposes and are an invaluable addition to a project. 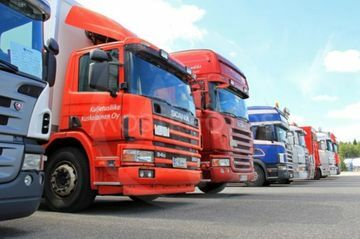 We provide a range of DAF and Hino rigid trucks for our clients. These massive trucks have the capability to haul an excess of 30 tonnes. 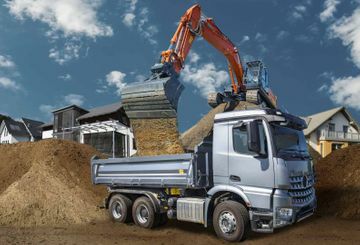 All our rigid trucks are maintained to the highest standard, ensuring their absolute efficiency.